You are here: Home / Ideas / NiceLabel 2017 Released. Here at ID Technology we have been fans of the NiceLabel software for years so we are excited to be able to offer the latest version, NiceLabel 2017. NiceLabel 2017 is a complete rebuild of the software and it promises to help automate a lot of common barcode labeling tasks, making things easier and more efficient. The new interface is designed to be very familiar to users of Microsoft Office – well, I suppose that’s just about everyone! Previous versions of NiceLabel were functional, but I found the interface rather “clunky”. NiceLabel 2017 fixes this with the stylish new look. There is a trend (and about time) these days to use dynamic label templates, rather than having a label for every job. NiceLabel 2017 embraces this and allows easy connectivity to a whole range of database types for populated the data onto the labels. The nice guys at NiceLabel have paid particular attention to people using Excel as their label database (yes, that’s me!) and put together a solid solution that doesn’t have the annoying 32-bit vs 64-bit issues frequently found in other label software packages. NiceForms is one of our favorite features in NiceLabel, allowing labeling applications to be designed to simplify things for the operators. In NiceLabel 2017, Niceforms has been refined to be even better – applications can be signed without the need for scripting, making them more accessible to a wider range of users. Our first impression of the new NiceLabel is very positive – we think it is going to help our customers improve their labeling operations – regardless of whether they have a couple of stand-alone label printers or a full enterprise solution. NiceLabel 2017 is available from ID Technology right now. The previous version NiceLabel 6 can also still be purchased until July 2017. 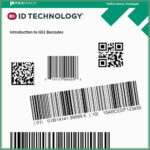 Would you like to learn more about how ID Technology and NiceLabel can improve your labeling operations? To get started, contact us today at 888-438-3242 Option#3 or you can contact me directly at dholliday@idtechnology.com. We’ll get you in touch with one of our ID Technology specialists right in your area. Hi and thanks for the comment. I’m not sure what happened with your NiceLabel transaction, but passed your comments along and you should hear from NiceLabel or the reseller you bought the software from shortly. You may also consider Bartender Enterprise for your label design/printing needs. We use it at our company for a wide variety of labels and it works great. Indeed – we are resellers of BarTender as well, Jason.